Nicknamed A300 before release, Amiga 600 managed to come out by Commodore in March 1992. Now that’s 25 years ago. In this article I will be looking at this amazingly powered 32-bits home computer from Commodore. Without numeric keyboard part, A600 is sort of an hybrid between a desktop computer and a laptop. It is so tiny that it is actually cute. But back in the days, Amiga 600 was the most hated Amiga ever made by Commodore staff. 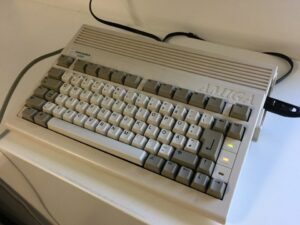 Just half year after Amiga 600 came out, the wider version of it Amiga 1200 came, so the Amiga 600 didnt have much chance in compare and Commodore discontinued it in 1993. This is a 32-bit Amiga with 68000 7.14MHz CPU, 1MB of Chip RAM, IDE 2.5″ controller, 8-bit (14-bit) Paula soundchip and a 16-bit PCMCIA slot. AmigaOS 2.0 was the very first OS that came for it. 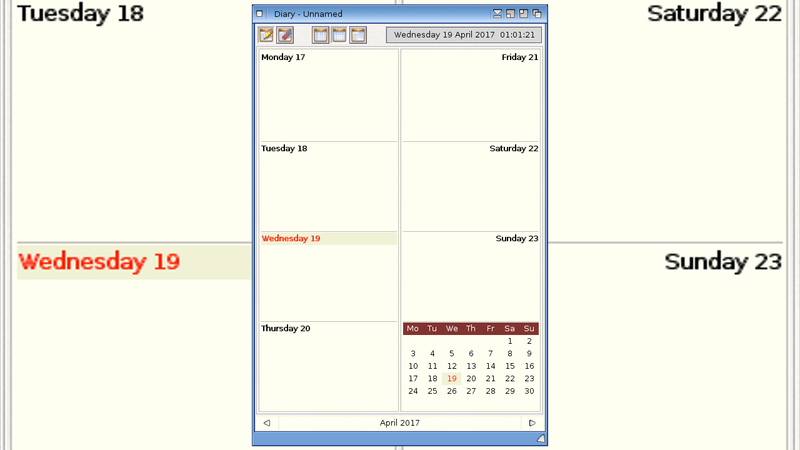 Then AmigaOS 2.1 was released for it. But the biggest news was when you also could upgrade Amiga 600 to Kickstart 3.1! That was really cool. However, if you get a FPGA or or a nice 68020 or 68030 powered CPU accelerator card. Then you have the possibilities to run AmigaOS 3.5 or even AmigaOS 3.9 with no issues at all. These upgrades, manages to provide enough cpu and mem to make A600 usage way more fun! Especially the Vampire 600 cards that is made by Apollo Team. With it you get HDMI out and is sort of the very first graphic card also for Amiga 600. So, having a blast with 3D FPS games, watching videos or playing classic Amiga games is not an issue anymore. Amiga 600 was the very first low-end Amiga, that actually had HD as standard. Commodore didn’t bundle the biggest hard drives with it, but A600 came in 20MB and 40MB HD versions. It was also the very first Amiga to ever have a PCMCIA slot! And because of this, today with Vampire FPGA or other turbo cards for A600. Then this slot manages to provide more AmigaOS functions, because of more RAM included. SCSI-II addons, Ethernet cards, External HD and PCMCIA memcards is available. You can also get a PCMCIA compactflash card reader also. So, this 16-bit slot adds a lot to the Amiga that was much more difficult to get before or even way more expensive. The A600 version of PCMCIA slot also doesn’t have the same bug as the A1200 version, so no hacks is needed to get it running fine. Unlike the other Amiga models. Because of the Amiga 600 size, Commodore had to place the mouse and joystick ports somewhere. So the natural place was on the right side, beside the floppy drive. This solution is good, and it’s way easier to connect a mouse or a joystick to the machine as you dont have to guess where the connectors is on the back. However, if you want to add 2 more ports for 4 player. Then its a bit of hassel to get that working correctly. Commodore might not like it back in the days. But even today, the design of Amiga 600 is timeless. If Commodore had made a laptop, then A600 design isn’t far away. Also the case design is similar to the A1200 one. The lines are beauty and the way A600 led lights are squeezed is also cool. Long live the Amiga 600! Where to get Amiga 600!? 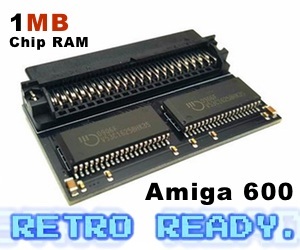 Where to get accelerator cards and tools for Amiga 600!? 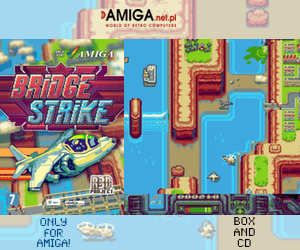 Amiga is alive in 2017! 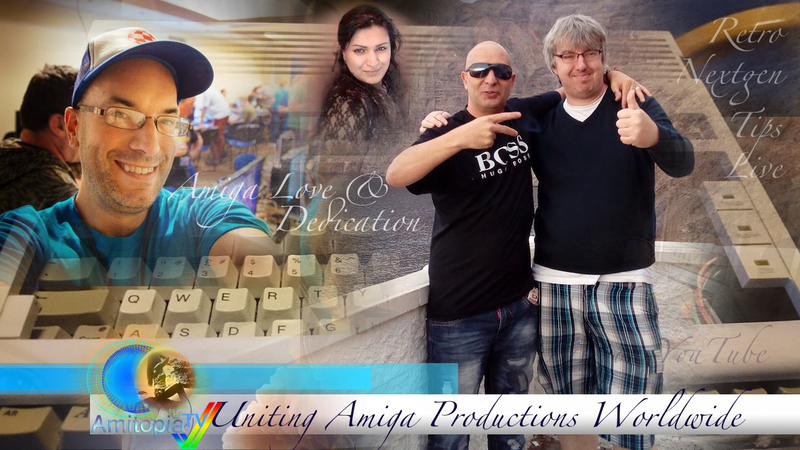 Uniting Amiga Productions and People in 2017 is more important than ever!